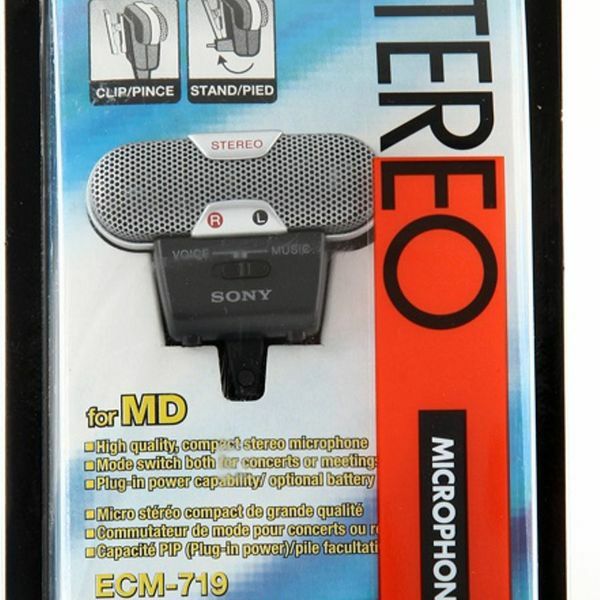 The Sony ECM-719 is a stereo electret condenser microphone designed for use with small portable recording devices such as MiniDisc and DAT recorders. 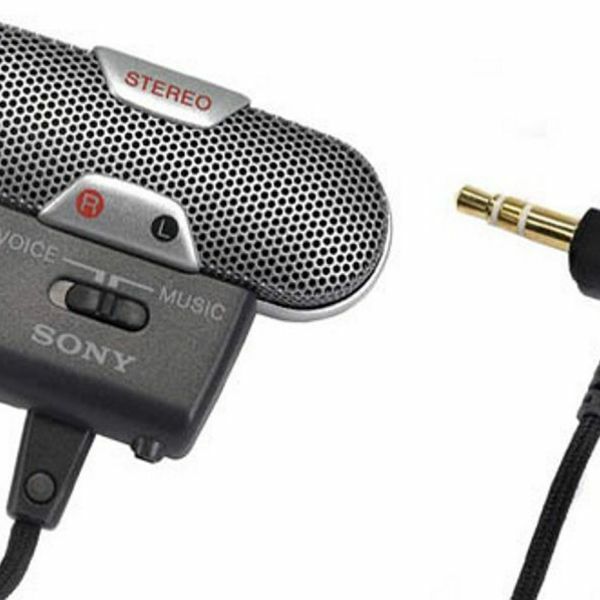 The microphone features an attached microphone cable that terminates to an L shaped 1/8" (3.5mm) stereo mini-connector. 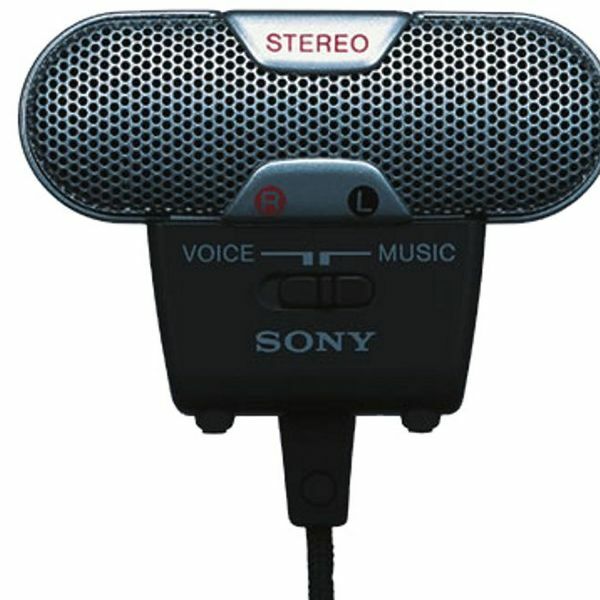 The stereo microphone accurately reproduces signal while maintaining the true stereo imagery of the incoming audio. This makes the ECM-719 a suitable option for recording outdoor ambiance, lectures, performances etc. The electret condenser capsule can be powered internally using an LR44 battery or externally when used with compatible recording devices. 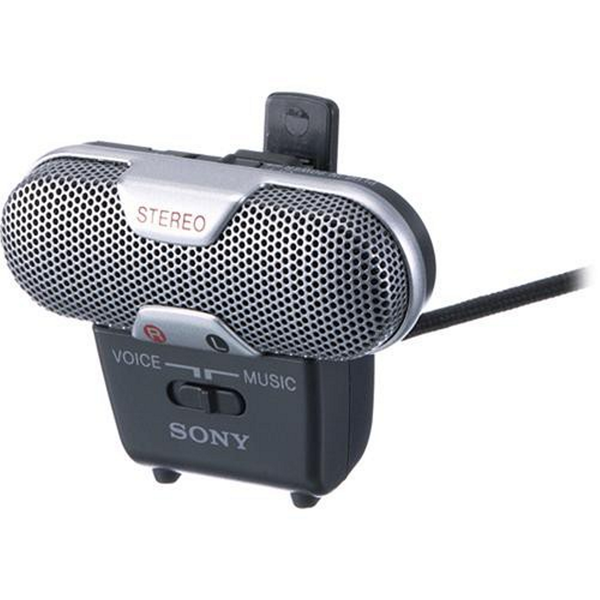 A Voice / Music switch enables the user to choose the desired character and the small, unobtrusive, lightweight profile is convenient when traveling or recording on location.